Aftermarket Shocks - Most after-market shocks are made with performance riding in mind, but aren’t built for use on a fully-loaded KLR650. 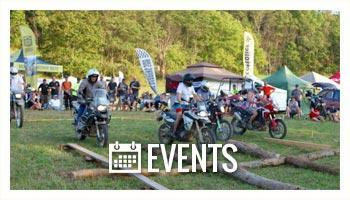 Most can only withstand the weight of the rider and don’t offer good handling, or have adequate adjustment. They also don’t have the durability to go the distance with a fully-loaded touring bike. Adjustable Rebound Damping – Right out of the box, this shock is ready for adventure with its rebound damping levels set for touring on a fully-loaded Kawasaki KLR 650. The rebound damping is also fully adjustable so the ride can be customized to your preferences. 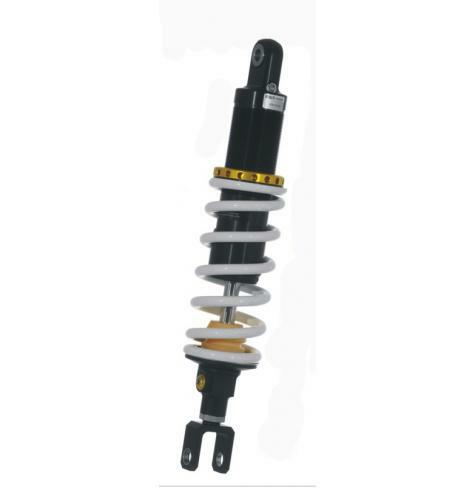 Adjustable Shock Length -The Touratech Extreme Shock also has 8 millimeters (-4mm to +4mm) of length adjustment allowing you to fine tune the ride height of your KLR650. While other manufactures use a M16 thread, we’ve chosen an M20 thread which is twice as strong as M16 and is better suited to handle the forces of a fully-loaded motorcycle in difficult terrain. Stainless Steel Bushings - While many aftermarket shocks use aluminum bushings where the shock mounts to the motorcycle, Touratech Suspension uses high-strength, non-corroding stainless steel. 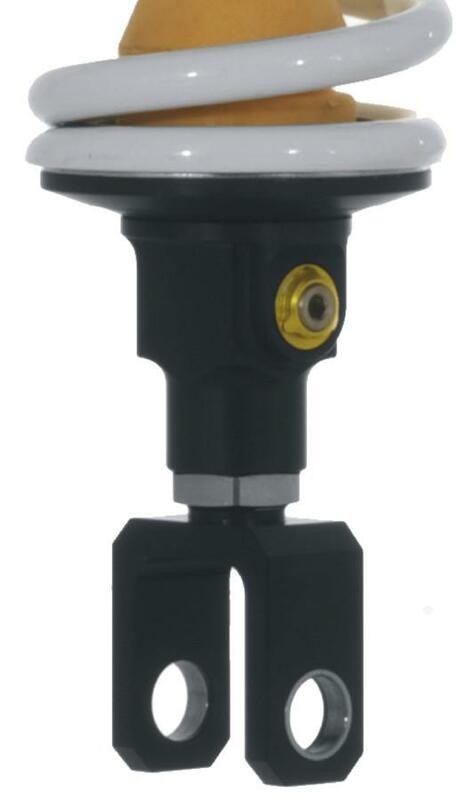 This creates a strong and rigid connection which is important for a loaded KLR650. The stainless steel bushings protect against corrosion and seizing and offer low maintenance and longer life. Adjustable Preload - When you load your KLR650 with luggage and all the gear for a weekend trip or extended tour, the bike will sag under the weight of the load. 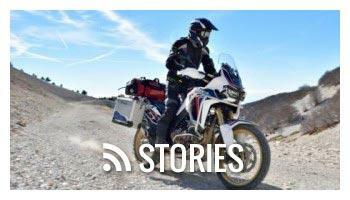 With Touratech Suspension, you can adjust the pre-load to bring the bike back to level. Because of the adjustment, you can raise the back of the KLR650 to compensate for the load which restores proper geometry for optimum handling and overall feel of the bike. 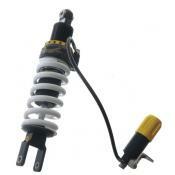 This Explore shock requires a tool to adjust the preload. 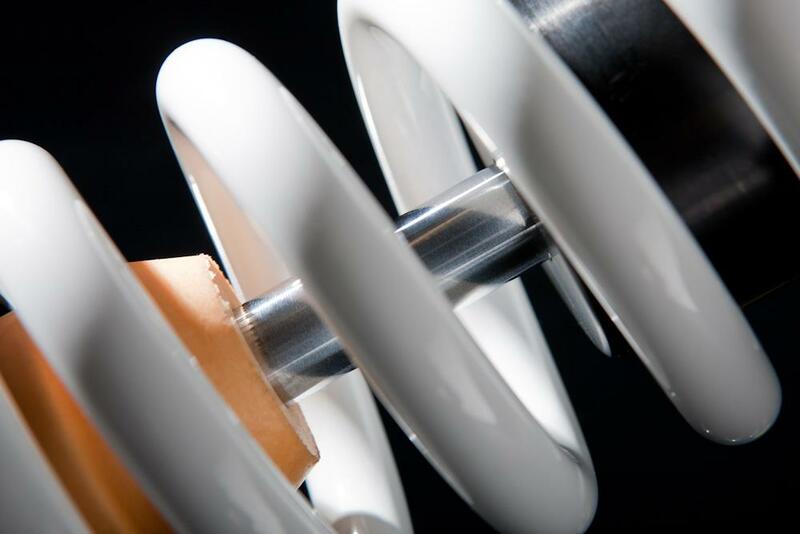 If you want to quickly adjust preload by twisting a knob, upgrade to the Explore HP shock. 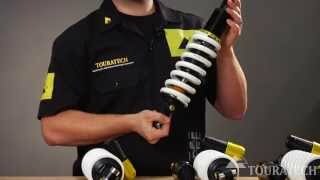 The Touratech Explore is a significant upgrade from a stock KLR650 shock and a great alternative to other aftermarket shocks most of which only have oil-emulsion damping or don’t offer enough pre-load adjustment. 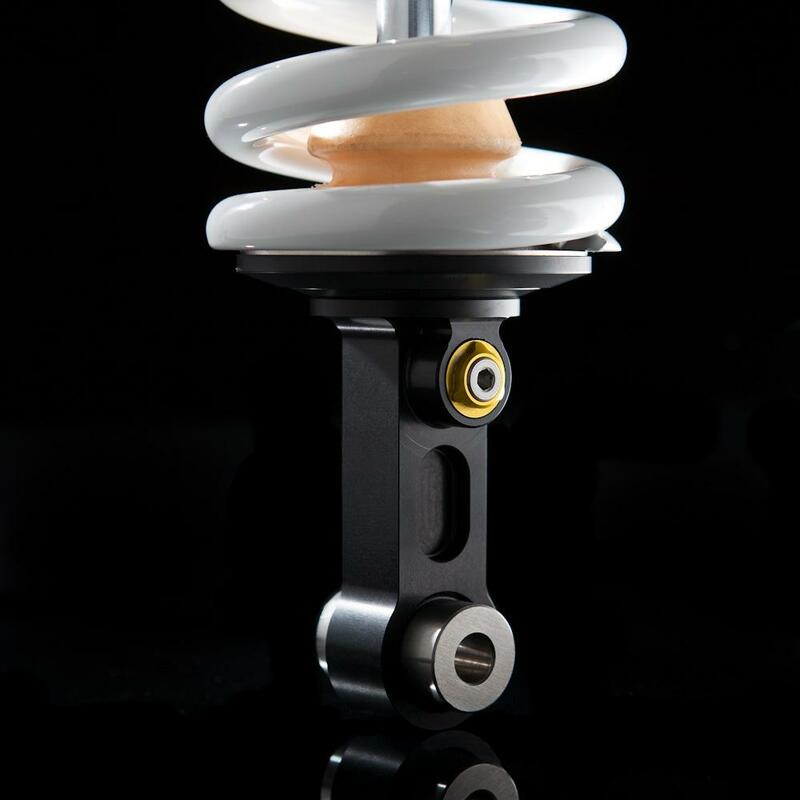 If you need a shock that can perform well for fully-loaded touring, this shock will improve your ride right out of the box. If you want to have the convenience of adjusting the preload quickly without using a tool, consider upgrading to the Touratech Explore HP.